Botox Dubai is available at the London Centre of Aesthetic Surgery (LCAS). Philosophers have pondered the nature of beauty for centuries. 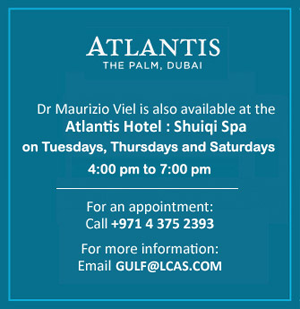 Aristotle wrote “art partly completes what nature cannot bring to a finish” and Italian brothers Doctors Roberto and Maurizio Viel and the London Centre For Aesthetic Surgery in Dubai, are world renowned for doing just that. 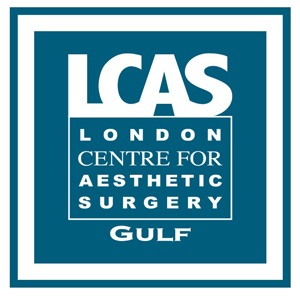 The London Centre for Aesthetic Surgery was established in 1990 by brothers Doctors Maurizio and Roberto Viel, fully qualified surgeons with international certification in cosmetic surgery and Fellows of a number of renowned associations throughout Europe and the United States of America. At the London Centre for Aesthetic Surgery our commitment is to provide the highest standard of medical treatment with the aim of heightening the patients self esteem and inner confidence. We believe that cosmetic surgery is an improvement, not a total revision or an unrealistic quest for perfection. In the UK alone, they have pioneered procedures in fields such as Facial Rejuvenation, Anti-Ageing medicine and Penoplasty to name a few and they continue to be at the forefront of fat removal a procedure called Liposelection using ultrasound technology from the US. Also performing cosmetic surgery in Dubai, they use their aesthetic sense of beauty, together with surgical expertise to create subtle improvements, which enhance both face and body, thus facilitating a rebirth of beauty. Beauty comes from within, however if you look better on the outside you automatically feel better on the inside. This increases self-confidence. When you look better you feel better, and when you feel better you are happier with the world. Cosmetic surgery improves the quality of life; it is not about vanity.